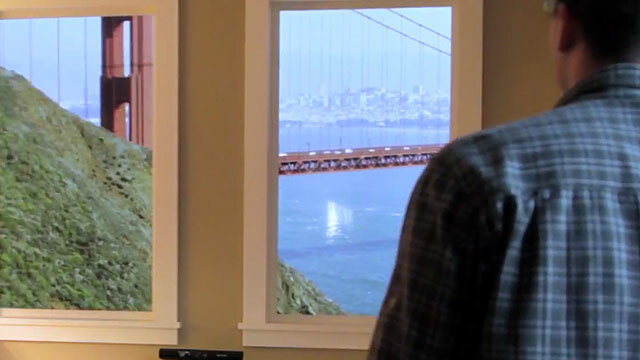 Winscape is neither a stereoscopic 3D display nor a multi-viewpoint or volumetric one. All it does is a technically simple perspective warping of images onto flat 2D screens. The intriguing aspect, though, is that seen from a tracked user’s position the perspective on the displayed scenery changes naturally with movement. 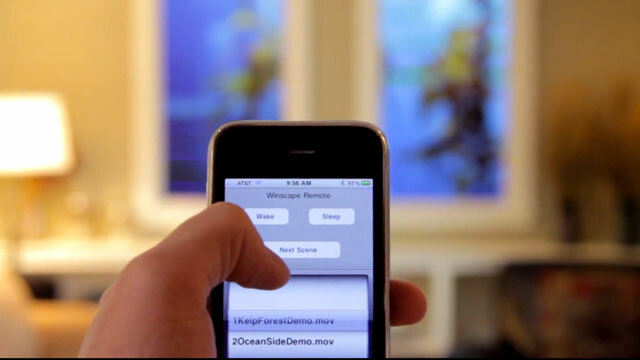 Winscape can be purchased as software application alone or in bundle with HD plasma displays. It is capable of picture and video playback at 4k resolution and can be remote-controlled via a Web browser. Internally the software uses Quicktime for playback and OpenGL for perspective warping and thus runs on OSX only. For tracking persons Winscape requires the Kinect Sensor from Microsoft. High resolution scenes and video clips shot with a RED One camera are available for purchase. Live video is not supported although this would be possible with the underlying software libraries.